After the poor showing against Alloa the previous week the Warriors would have been hoping to bounce back in this Scottish Cup tie versus Threave Rovers. This was the third clash between the sides since John Coughlin took over at Ochilview and prior to this game the team with home advantage had won the respective ties. Threave were one nil winners on their patch whilst Stenhousemuir won 5-0 on theirs. Going into the game the pack was reshuffled and Sean Dickson and Grant Plenderleith came off the bench to make their starting debuts after catching the eye in recent games whilst there was a welcome start for Alex Wiliams who had been absent through illness since the start of September, though he had a cameo sub appearance in the Alloa game. Threave were missing Danny Dunglinson through suspension and the playmakers place was taken by veteran Davie Irons who at 49 is believed to be the oldest player to feature in the Scottish Cup in the modern era. Thrave showed that they were not there to make up the numbers within the first minute of the game when a James Baty effort went just past the post. The Warriors countered with a Dickson snapshot that was saved by Vinnie Parker following a goal mouth scramble. The Warriors despite all their possession were struggling to create anything at all and an Ally Love effort that almost struck the corner flag was indicative of how the play was going. Threave always looked more purposeful in their endeavours and although Williams had an effort saved in the 29th minute it was the South of Scotland representatives that took a deserved lead a minute later. The goal would have had John Coughlin tearing his hair out as Sam Warren was allowed to take a short corner to Jamie Struthers with the home side napping and he skipped past a weak challenge before playing the ball into the danger area, Phil Middlemiss reacted quickest and dispatched the ball past Ally Brown and sent the band of Threave supporters into raptures. A minute later Plenderleith saw an effort blocked by Scott Wilby in the box and although an arm appeared to be used no penalty was forthcoming with the only action taken by the referee being the caution of Warrior’s captain Jordan Smith for his protests. If the Warriors supporters felt that things would get better on the resumption they were to have a shock as the Castle Douglas side extended their lead in the 56th minute when Brown could only parry an Andrew Donley effort and captain Sam Warren tucked the rebound away under pressure. At this stage it was no more than the visitors deserved as Stenhousemuir continued to play without conviction in their play. In the 67th minute they did eventually get on the score sheet when Andy Stirling headed home a Plenderleith cross and this set up a finale with the Warriors pushing forward for the equaliser against a team that in the main seemed quite comfortable as they soaked up the pressure. Eventually in the last minute of the game the Warriors drew level when a close range effort by Paul Quinn was well saved by Parker but Williams despite tiring legs was able to react quickly and tuck the loose ball into the net. 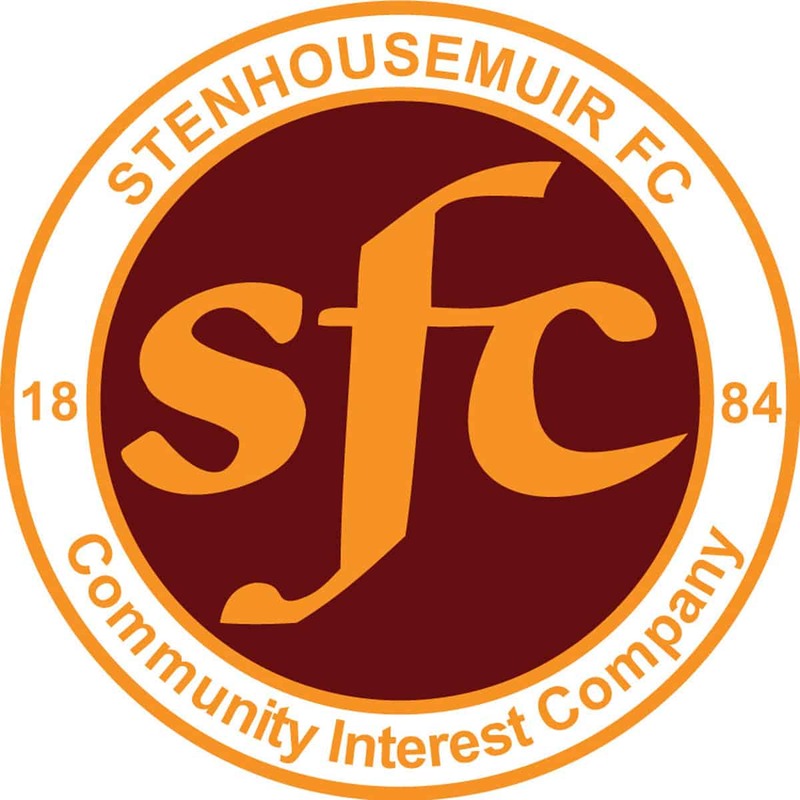 Stenhousemuir – Brown, Lyle, A.Love [Quinn 64], Gibb [Murray 64][b68], Smith [b31], Thom [b90], Anderson [Stirling h/t[b53]], I.Thomson [b6], Williams, Plenderleith and Dickson. Threave Rovers – Parker [b82], Wilby, Kerr, Patterson, Fingland, Irons [Milligan 69], P.Middlemiss, Struthers, Donley [G.Middlemiss 86], Baty [Cook 66][b70] and Warren.